Give the gift of a one day hands-on bonsai workshop. 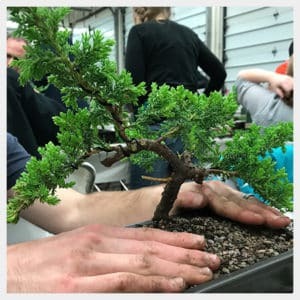 Includes free one year membership to the Minnesota Bonsai Society. 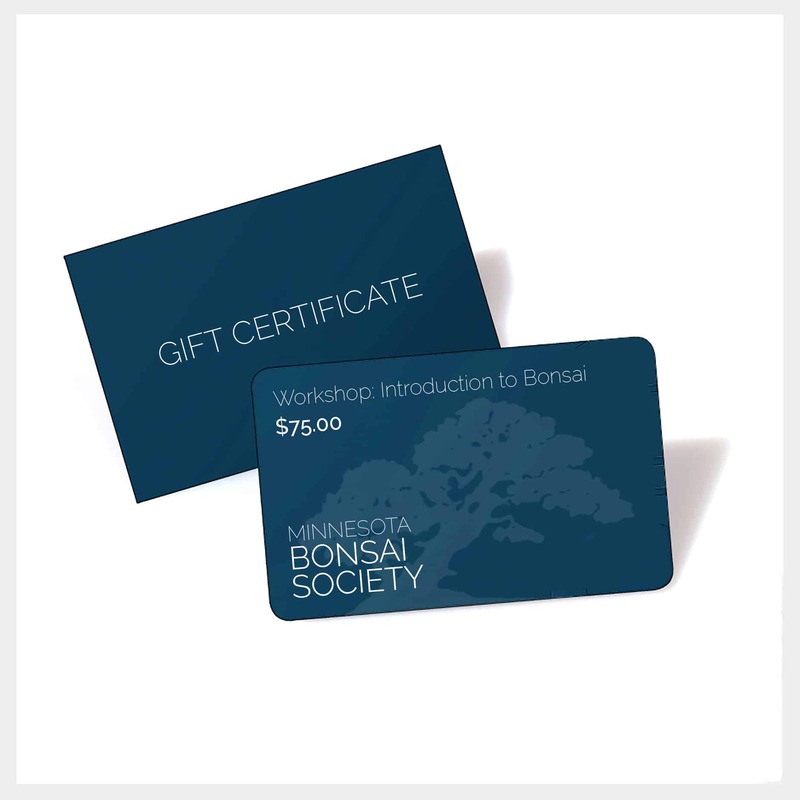 The digital gift certificate will be delivered by email on the day of your choice. You will be notified once the gift certificate is redeemed. Fill out the digital e-card below to be emailed to the recipient. Payment by check will delay email delivery until payment is received (up to 3 weeks), so Paypal is recommended if you need gift card delivered by a certain day.